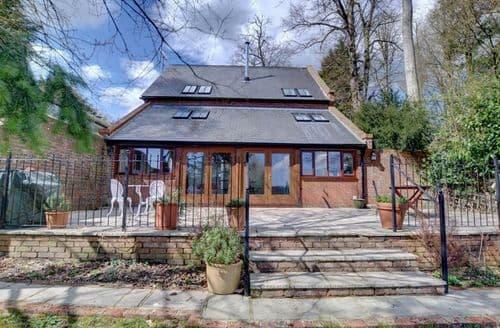 What our customers are saying about our Holiday Cottages In Hartfield To Rent. "I wanted to write a review about our most recent stay at Marck House. We have now stayed there 2 years in a row and have had an absolutely amazing time both times. I have to say I was incredibly surprised to see the negative reviews (which appear to be all on the same day so I can only assume were from a single group). Anyway, we stayed there in November 2017 and October 2018. I organise an annual long weekend break as a university reunion. This is the only property we have gone back to and we absolutely love it (will almost certainly do so again next year too). We generally have between 10 and 14 people and the property fits everyone comfortably. I had a 6 month old last year and she is now 18 months so we made use of the high chair and cot. The house was clean and tidy on our arrival and is kitted out to an incredibly high standard. The group absolutely loved the Hot tub which was pre-warmed for our arrival. There is also Sonos in almost every room (and even outside by the hottub!) and the cinema room is amazing too, with a great selection of movies. The kitchen is also very well appointed with all of the stuff you would need when catering for large groups, and the dining room has a massive table to seat everyone. This year we had a dry weekend so also made use of the outdoor log fire pit in the evening which was great. The property is a long way from any neighbours so we were able to play music outside and chill in the hot tub until the early hours without upsetting anyone. One of the things that makes the property very suitable for having a little one around is fact that the Cinema and ping pong table are both in the basement and these rooms are a long way from the top floor bedrooms, meaning people can make noise (in our case play beer pong!) without waking those that are sleeping. That may not be important for everyone, but for us it was very useful indeed. Whilst there we did a couple of walks: Last year to The Anchor Inn in Hartfield and this year to The Junction Inn at Groombridge (we always like a walk to a local pub). I can recommend both and the Junction also has a little playground for the little ones which was great. The walks are along an old disused railway line, making them very easy / flat for a buggy (and you will see lots of cyclists too). To come back on the other reviews, we have only had positive experiences with the owner. In 2017 we had no contact at all (none was required or expected) and this year we met Simon as we arrived early and he was finishing fitting a new Hottub cover. We got a full deposit back on both occasions despite a couple of glass breakages, and he even returned my daughters favourite bunny that she left behind (which she greatly appreciated!). I would highly recommend staying at Marck House - I suspect we will be back next year again (we will just need to find another pub to visit!)" 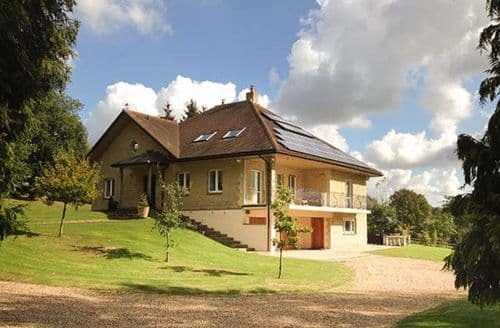 "Marck House is tucked away in a very private, idyllic spot in the Sussex countryside with wonderful walks from the front door that we enjoyed and a highly rated pub (the Dorset) a few mins stroll away. It has been cleverly renovated and extended in recent years and now offers a large home-from-home with a real wow factor that is perfect for large groups. There is oodles of parking and lots of garden for little (or big!) people to enjoy. Having stayed here several times, I can confirm that it is incredibly well kitted out and tastefully furnished and decorated: the thought and care behind the facilities it offers are self evident and nothing has been missed - from the hot tub, fire pit and extensive furniture on the terrace...to games and cinema rooms, gym equipment, sonos sound system throughout and books, games and films available for guests to enjoy indoors. The bedrooms are very spacious with incredibly comfortable beds decked in crisp clean white linen, accompanied by beautifully appointed bathrooms with decent sized towels. The showers are powerful and I particularly loved a swim in one of the huge double ended tubs which even has a remote control filler! The living room is multi aspect with a lovely log burner and vast but comfy sofas opening onto a wonderful balcony, and the dining room (complete with grand piano and another log burner) can easily seat 20 for supper at a beautiful bespoke dining table. The kitchen has a Smeg range cooker and every utensil imaginable with ample crockery and glassware, and the laundry facilities are in the basement. The overall space at Marck House is very versatile with extra beds in some other rooms offering helpful flexibility for bigger groups. Simon, the owner, is incredibly hospitable and talented having created a wonderfully homely (but also elegant) space which offers appeal to a wide variety of guests and can accommodate lots of different styles of getaway. There is something for everyone. On every stay I have found the house to be immaculate as he has a very on the ball housekeeping team. So I cannot agree with the comments from some reviewers about either the owner, or the cleanliness of the property. It has always felt like being welcomed into someone's home and therefore I feel the unnecessarily vindictive remarks a couple of reviewers have made are highly questionable. I love it here as it offers an oasis of calm in which to escape the rat race for a few days and properly relax. I have no hesitations in recommending it as a truly fabulous bolthole - even better when you don't have to drive for hours across the country to get there! With all the mod cons and little luxuries to enjoy in a peaceful countryside setting, I will certainly be returning. Just hope that in sharing what a wonderful place this is, that it isn't booked up!" "We stayed as part of a group for a weekend recently. We had such an amazing tome I came here to write a review. I was really surprised to read he had a bad reviews written by someone or three people from the same booking. . . so I feel compelled to set the record straight. Here goes! The house has been restored and updated by Simon the owner over the past few years. He has lavished this big space with a huge amount of top quality hardware and finishes. This is important to note as so many rentals don’t have this luxury and especially at this price point! 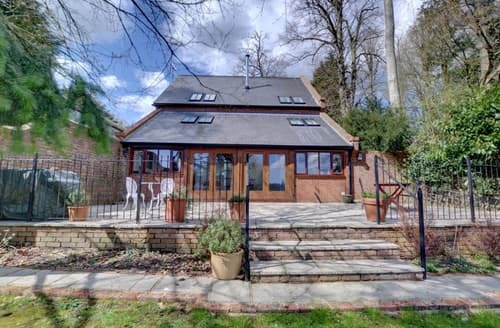 I am not going to write a list as others have already done that, but if you are wanting a house in the country to have a group get together with family or friends or even for yoga or corporate then this is a great choice. We had a great time and honestly can’t think of one downside to the entire weekend with 17 people. But I’d really like to address the issue of the earlier bad reviews. We met the owner and can honestly say he was a lovely guy. Accommodating, helpful, went out of his way for us on a couple of occasions and we felt he had gone far above the call of duty to make sure we had everything we needed. A real gentleman. I am going to put the bad reviews down to some kind of crank, especially as they obviously made an account just to make the reviews and talked about bugs in a bath? We found the place spotless - and I mean spotless and it is a HUGE place. If some bugs were in a bath it was due to being under an open window I’d suspect and that could happen to anyone. 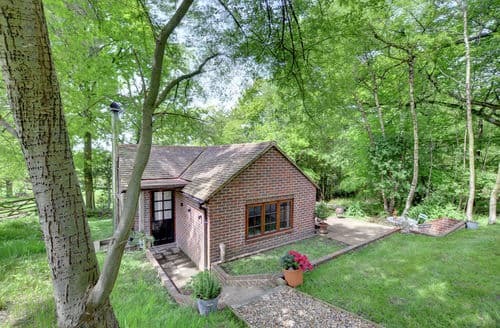 . . the house is in the countryside! They then say something about damaged items in the basement? . . . I am going out on a limb here and thinking that the owner might know had his stuff been damaged and withheld a deposit. After all. . . he would know how risky it is to make a false deposit claim these days and receive a review backlash! Plus. . . the reviewer did state they had kids. . . and kids can be ‘excitable’ sometimes and break things. . . Just saying. And saying the deposit was withheld because some tables were not cleaned? Are you serious? Tat shown me the reviews are bogus and Trip Advisor should delete them. So there you have it. This rental had it all for us, from the wood burners to the outside fire pit, to the huge bespoke dining table to the well equipped kitchen, to the amazing huge luxury bath and top quality rain showers, to the lovely country views, to the very quiet location, to the great walks, to the really comfortable beds, to well, everything else." "I spent a weekend doing lovely healing events in this beautiful house. We enjoyed the property and especially the huge kitchen. We had lovely times eating all together and the beds were very comfortable with white and clean bed lining and white towels for every bed. There are two bath tubes and three toilets in the upper level, showers as well. About 20 people or even more if you count the sofa beds in can sleep in the house. I am from Austria and i love all organised well. I have to say that the owner was very helpful and i cannot share the negative reviews that i saw here on tripadvisor, we had a very good time as a group there, and also spent some time in the beautiful nature that surrounds the house. There are two fireplaces inside and as well outside which make a romantic atmosphere... you can do Yoga on the entrance next to the garage and the place is very suitable for big groups who want to enjoy a beautiful time together surrounded by nature or for families..."